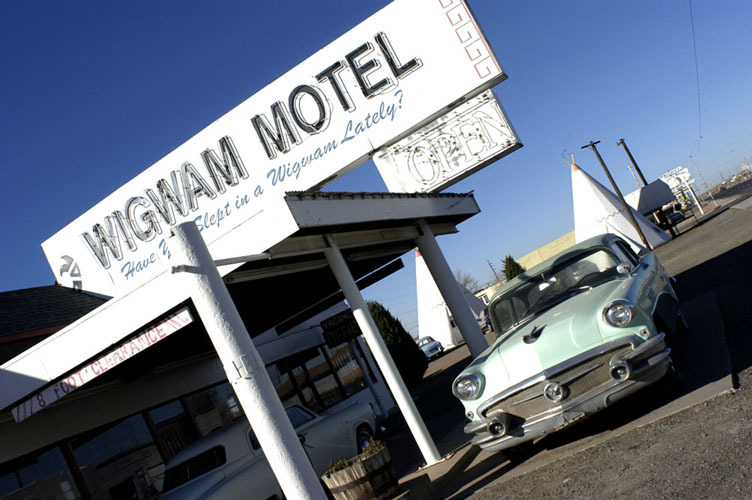 When I was plotting the course of a road trip through the US south-west some time back, the Wigwam Hotel in Holbrook, Arizona, was first on the list. 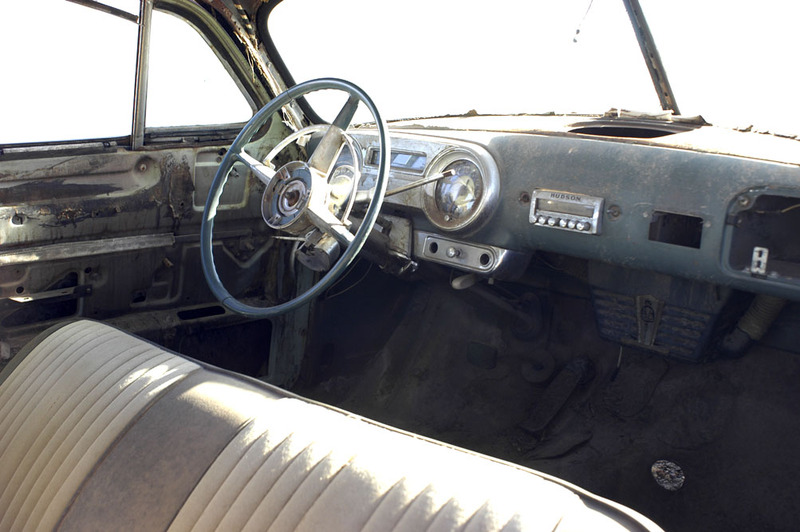 It was part of the revered Route 66 of popular culture, the early 20th century highway that cut across the United States from Chicago to Los Angeles and provided an escape for the Dust Bowl refugees of Steinbeck and his ilk towards a brighter future. The Wigwam Hotel looks exactly like the old postcards. A circle of tall teepees made of concrete with a smattering of old long-abandoned cars that lends it a certain Twilight Zone je ne sais quoi. Inside, the teepees were disarmingly spacious but the small heater had a hard time cutting the deepening chill. I went to sleep but awoke in the early hours of the morning from the bone-rattling cold. I put another blanket on the bed, then covered that with the contents of my suitcase. As snug as I could possibly be without crawling into the suitcase and zipping it up over me, I drifted into a fitful sleep. The long agonized low notes of a freight train’s horn jerked me fully awake. It felt like it was passing just outside the teepee and, when I investigated, found it was. The rear boundary of the Teepee Hotel is right next to the train tracks. If I was a trainspotter, I’d be in heaven. Regrettably, I was somewhere else entirely. It was to be a valuable lesson in nostalgia. 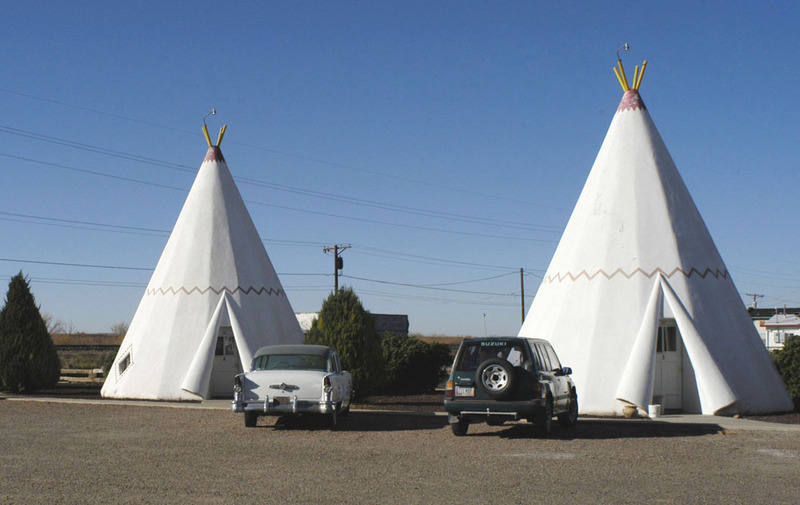 The Wigwam Hotel, just one of three surviving teepee motels left in the US, is a must-stay in the warmer months and is still operated by relatives of the original owner. But when it’s cocooning you need to endure long road trips, aim for an Embassy Suites or better and drop by the Wigwam for souvenirs and photos. Love the Wigwam teepees, and what fun to sleep in one. You must put a picture of them on your facbook with a link to your blog – sharte the love. remember that saying: ‘A wigwam for a goose’s bridle’ – what was that about?